Oldtimer picture gallery. Cars. GAZ-M1 ("Emka"). 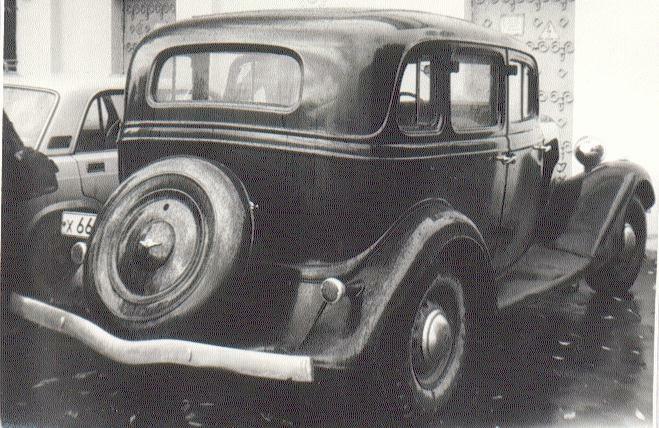 This car was almost the only commander car during most difficult first year of the war. Later it was substituted by Willys MA and MB. 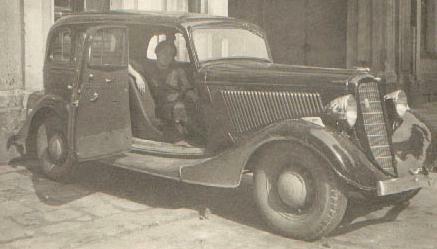 This car originates from 1933 Ford-V8-40. In 1936 GAZ had has name of these times foreign minister V.M.Molotov, who 3 years later signed famous peaceful "Molotov - Ribbentrop pakt" between Soviet Union and Germany. Letters M-1 means Molotov - model N:o 1. 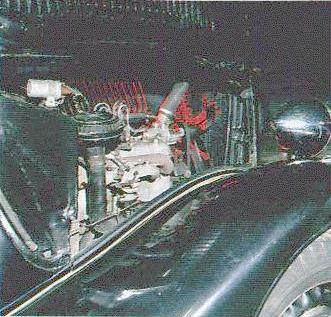 Among features of the car was rigid longeron frame with X-like cross-member, pushing strength have been transmitted to the frame by the pipe, contained cardan shaft. 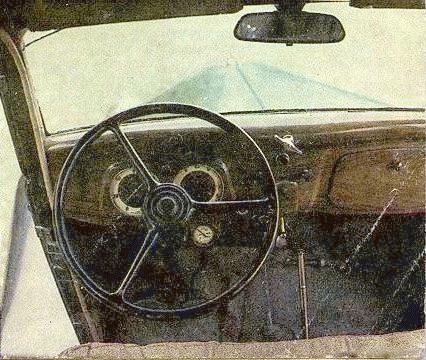 GAZ-M1 was the first soviet car with automatic ignition outstripping and back-forward adjstable front seats. This car is very famous and prevailing car of war times, it is mentioned even in this period songs. People called it "Emka" for letter M in its name. Normal production ceased in 1941, but assembling from warehouse details continued a bit longer.Most of M-1 were on government service and only part of them became private later. Trophy cars, on the contrary, were private from the very beginning. That is why now M-1 is more rare than Opels or Mercedeses. 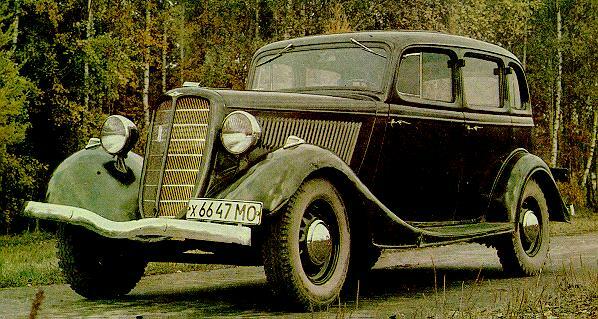 The M-1 on the pictures (x66-47MO) is car of Oleg R. Nesterov, famous soviet oldtimers restorer. M-1 images are from "Za rulyom" magazine (N 6, 1987). 1937 photo is from the archive of Mihail Lukinov, photo courtesy of Artem V. Drabkin, visit his site Memoirs of Great Patriotic War veterans. GAZ-M1 taxi, GAZ-M415 - pickup, GAZ-11-73 - 6-cylinder, GAZ-21 - 3-axle, GAZ-GL1 - racing (one of). Last updated 11 XI 2000.